What are the rules of PTC sites, what can’t you do at PTC sites, what can be your account suspended for? Always read the Terms of Service (ToS), every PTC site has them, it can be usually found at the bottom of the page under Terms of Service link. These are the rules of PTC sites – there you will get to know exactly what is allowed at that PTC site in question and what is prohibited. 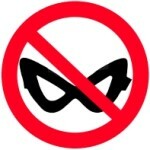 This way you avoid all unnecessay future problems. In this article I list the most frequent points in the ToS of PTC sites (the most common rules of PTC sites), and also some things that you need to be careful about. 1.) 1 account per 1 person. That means 1 email, 1 email of your wallet, 1 IP address and 1 computer per 1 person. Thus, more people can’t login from the same computer to 1 PTC site. Just as with IP. Sometimes there are also limitations of how many IPs in a week you may use for log in. It is forbidden to share accounts with another person. This rule belongs among the most basic rules of PTC sites and you should always obey it! 2.) Signing in from work, school, Internet cafes and other publicly accessible locations is prohibited. VPNs are also forbidden. In addition, you incur the risk of someone stealing your login data. Click only at home and only on your computer. Alternatively, you can click at work where is no VPN and where you are the only person that has access to the computer used for clicking (or make sure noone else signs in to PTC sites from that computer). 3.) You must click ads only on your PC or laptop. You must use a mouse. Clicking on tablet or mobile phone etc. or without using a mouse is prohibited. Exception – PTC site called WarOfClicks. 4.) Your data at PTC sites must be true. Plenty of PTC sites does strictly controll them and they will suspend your account if you provide false information. This is also one of the basic rules of PTC sites! 5.) Your payment processor (virtual wallet) account must be verified, especially they require verified PayPal, sometimes even Payza. (Repeated) requests for payment to an unverified account almost always lead to suspension of your account! This is also one of the basic rules of PTC sites and so many people do not obey this rule – and then they wonder and accuse the PTC site of being scam etc. while the error is purely and simply on their side because they do not read the rules of PTC sites! 6.) Do not use automated programs to click. Most of the today’s PTC sites have a system how to detect these programs. Using such programs is hard and uncompromisingly punished by suspending your account and PTC sites don’t give second chance (they will not give you your account back for violating this rule). 7.) Do not spam. Do not send unsolicited email to people you do not know. 8.) All payments to PTC sites are non-refundable. If you ever put some money into a PTC site, you can’t have your money back. You don’t have any rights for the money at PTC site. If a PTC site doesn’t give what you paid for (eg. scams), you can try to place a chargeback/dispute against the PTC site at PayPal (if you used PayPal for depositing the money in question). PayPal quite often (in special cases) returns money back to people. Keep in mind that for this step (which is also not permitted at PTC sites and is severely punished) your account will be suspended at this PTC site forever. 9.) PTC sites do not guarantee that you earn more than you put in. Therefore, do not consider rented referrals and membership as an investment that must always pay off. This may not always happen, especially when you calculate your earnings wrongly or the PTC site changes the earnings over time. 10.) PTC sites have the right to suspend your account anytime and for any reason (even for something that isn’t stated in their ToS). 12.) PTC sites suspend/delete accounts for inactivity. The number of days of inactivity varies, it is usually 30-60 days. If you do not want your account to get suspended/deleted log in at least 1x every 30 days. If you want to be sure log in at least 1x per 14 days. Some PTC sites count as account activity only when you click at least 1 ad – so it is not enough just to log in. Accounts at PTC sites are usually suspended when you request a payment. Therefore, you learn you did something wrong only when you try to request your money. In this case, contact their support. Some admins let you explain and can understand and return account to you. It is definitely worth it to try. It may seem complicated and strict but PTC sites are just protecting themselves against fraudsters (there are around 50% cheaters at PTC sites). If you follow all these rules of PTC sites you shouldn’t ever have any problem at PTC sites. Don’t be afraid, everything usually goes smoothly, mainly on proven, reliable PTC sites. You can find all proven, paying PTC sites in article: List of the best PTC sites. Some PTC sites (luckily just a minority) have a cheat link/anti-bot ad, a trap for automatic programs, placed among ads. This is an ad, usually clearly marked by title and/or image, red colour is often used. When clicked, either your account will be suspended or money will be removed from your balance. Sometimes the penalties for clicking this ad are very high, deducting $1 or zeroing balance isn’t that rare. Also I have experienced that cheat link was inside the ad itself – there was a flashing red sign and notice that the ad must be closed within 20 seconds, otherwise your account will be suspended. Be very careful what ads you click on, always read the headlines and view pictures, do not click blindly, pay attention to advertisements. 2.) Having an antivirus software installed in a necessity. This is one of the basic rules, do not even enter the Internet without having a good antivirus software installed. There are many crawlies at PTC sites, just as anywhere else on the Internet, that must be caught and not let enter the computer. AVG antivirus is sufficient for this task and is free. 3.) When you register to PTC sites always use different password for each site and have a strong password. Write the passwords down to any (paper) notepad. Don’t ever write it down to computer because hacker can easily steal it from there. Why different passwords? Often, if you have the same password everywhere and someone finds out what your password is he will try to enter this password to PTC sites and he will steal your money from all your accounts. You can prevent this to happen by creating unique passwords. 4.) Be careful with depositing money into PTC sites. Always search for enough information about the PTC site before putting your money in. You might loose your money. Put in/invest in PTC sites only what you can afford to loose. Don’t take PTC sites too seriously, take it as a game – everyone looses sometimes. Keep the joy of clicking, play and earn. You will be successful only when you will enjoy it. 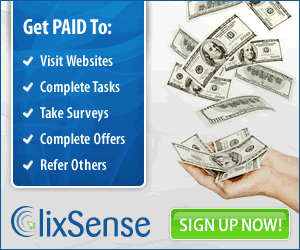 Earnings – PTC: New blog about Paid To Click sites Clixten promotion: Free upgrade! Over $200000 paid!